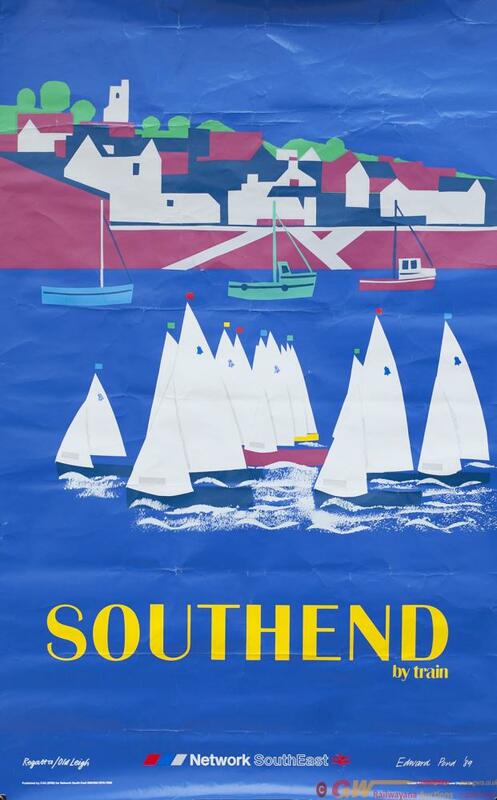 Poster NETWORK SOUTH EAST SOUTHEND BY TRAIN by Edmund Pond 1989. Double Royal 25in x 40in. In good condition with some creasing.